Sin and the Sinner: What is the difference? On Wednesday Pope Francis stressed the importance of knowing how to distinguish between sin and sinner, adding that God's mercy is not afraid to reach out and touch our sins in order to forgive them. Pope Francis calls us to know the difference between sinning and sin (Gustave Dore). 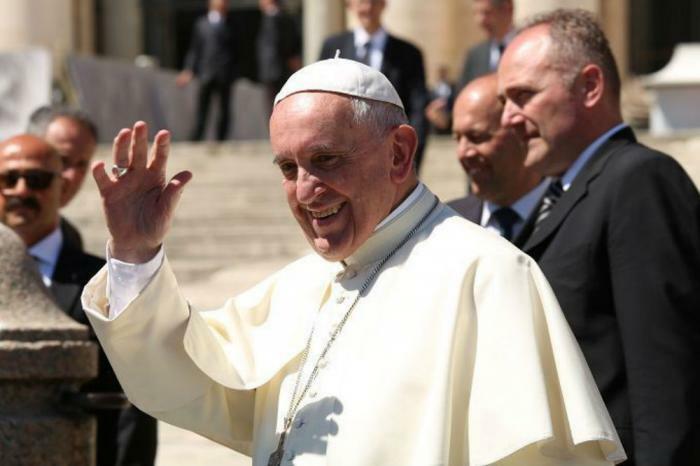 Vatican City, Rome (CNA/EWTN News) - "The Word of God teaches us to distinguish between the sin and the sinner," the Pope said April 20, noting that when it comes to sin, there are no "compromises." When it comes to sinners, "which are all of us," it's important to reach out to them, he said, adding that sinners "are like the sick who are healed, and in order to be cured the doctor must be close to them, visit them, touch them." Take the Saints Trivia Quiz now! However, Francis also clarified that in order to truly be healed, a sick person must first "recognize their need for the doctor!" Pope Francis spoke to the thousands gathered in St. Peter's Square for his Wednesday general audience. He continued his catechesis on mercy, turning to the Gospel passage in Luke in which Jesus dines at the house of Simon, a Pharisee, and forgives a "sinful woman" who washes his feet with precious oils. In his speech, the Pope said that the episode brings out a comparison between two figures: Simon, the faithful and zealous follower of the law, and the anonymous sinful woman, who expresses repentance. "While the first judges others based on appearances, the second with her actions expresses her heart with sincerity," Francis said, noting that while Simon doesn't want to compromise himself or get involved in Jesus' life, the woman fully entrusts herself to the Lord "with love and veneration." As a Pharisee, Simon finds it incomprehensible that Jesus allows himself to be "contaminated" by sinners, as was the common mentality at the time. "He thinks that if Jesus were really a prophet he must recognize and stay away from (sinners) to avoid being stained, as if they were lepers." This attitude, Francis said, is typical of a certain understanding of religion which emphasizes the radical opposition between God and sin. However, the Pope stressed that the Word of God teaches us to distinguish between "the sin and the sinner." When it comes to the Pharisee and the sinful woman, "Jesus sided with the latter," the Pope observed, explaining that since the Lord was free from "the prejudices which impede the expression of mercy," he allowed the woman to continue her act of love and repentance. "He, the Holy One of God, allows himself to be touched by her without the fear for being contaminated," Francis said. Pope Francis reminds us God forgives (Daniel Ibáñez/CNA). In forming a relationship with this woman, "Jesus puts an end to that condition of isolation to which the merciless judgement of the Pharisee and his fellow villagers, who insulted her, condemned her." Pope Francis then contrasted the hypocrisy of the doctors of the law with the humble and sincere act of the woman, whose conversion happened in front of everyone. "All of us are sinners but many times we fall into the temptation of hypocrisy, to believe that we are better than others," he said, and cautioned that instead of looking at others' sins, we must first acknowledge our own faults and mistakes. When Jesus responds to the woman's act he doesn't give an explicit answer, but instead her conversion takes place "in front of everyone's eyes and shows that in (Jesus) shines the power of the merciful God, capable of transforming hearts." The sinful woman "teaches us the link between faith, love and gratitude," the Pope said, noting that even Simon had to admit that the one he loves most is the one who has been forgiven more. "God has locked up everyone in the same mystery of mercy; and from this love, which always precedes us, we all learn to love." Pope Francis closed his audience by encouraging pilgrims to give thanks to God for his "great and unmerited love," and urged them to allow the love of Christ "to be poured into us: it is from this love that the disciple draws and on which he is based; from this love each one can be fed and nourished." Following his address Francis offered a special greeting to all those affected by Saturday's deadly earthquake in Ecuador, which has so far killed an estimated 413 people and injured more than 2,500, according to CNN. Speaking to Spanish-language pilgrims, the Pope offered assured their "brothers in Ecuador" of "our closeness and our prayer in this moment of suffering." He also made special mention of the ongoing armed conflict in Ukraine, which has been "forgotten by many," and reminded faithful of a special collection that will take place in churches throughout Europe this Sunday, April 24, which will be used to meet the needs of the "humanitarian emergency" that has resulted from the conflict.